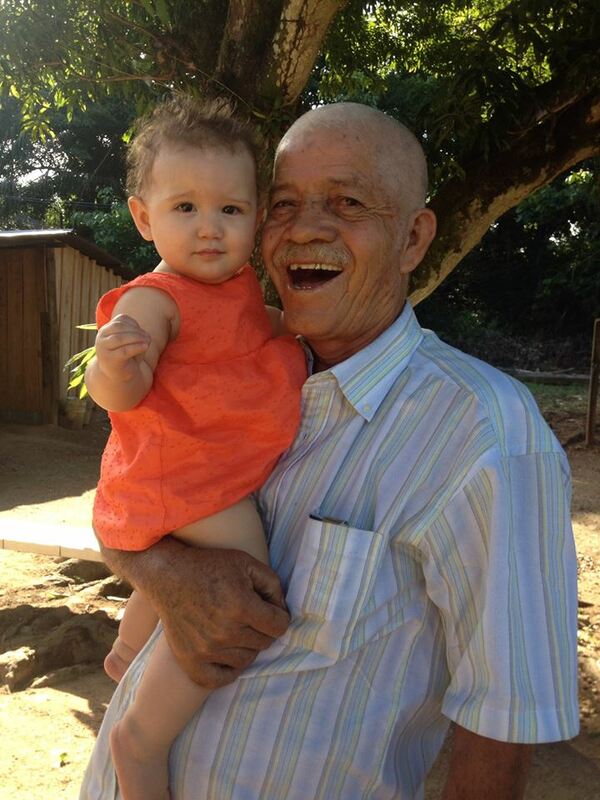 Today my father-in-law, Nunez, passed away after battling with cancer for the past 6 months. It all happened so fast. We knew he had taken a turn for the worse the past few days, but we still believed Luis would have time to go and say good-bye. We searched for hours to find a flight that would get him there soon enough, but there just wasn't anything available. Around 6:30pm, we were able to Skype with him and see him. Luis told him how proud he is of him, and how much he loves him. And to go in peace. And then the call dropped. We tried to get it back, but it just wasn't connecting. About 30 minutes later we found out that he died within minutes of talking to us. I was still thinking in my mind what I was going to say to him and felt sad that I didn't get a chance to tell him. I wanted to say this: "Suegro I am so proud of you. Thank you for how you supported us so much while we were in seminary. Thank you for raising Luis to be such a hard-working, faithful man. Thank you for teaching him to save and be so smart with money. Thank you for loving us in your own way. I love you. And I am so happy I will see you again in eternity with the Lord." You see, even though our hearts are grieving, we are also rejoicing. Rejoicing because the Lord purposed in His will to save my suegro through this cancer. My suegro was not a soft man. 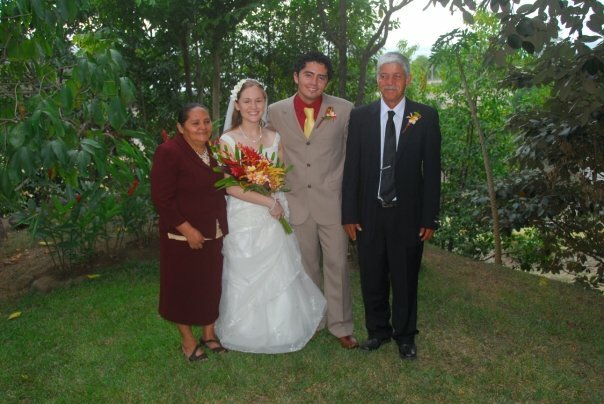 He grew up on the streets of Honduras, an orphan, left to fend for himself. No education and no family. He was an alcoholic for many years when Luis was very young. He was a hard-hearted, hard to work with type of person. He even spent time in jail (before he had a family) for murdering someone. Yet God in His great mercy chose to save him. And by God's grace he was able to overcome so much, even before he repented and surrendered his life to God. He was able to use the hard things in his life to instill good values in his kid. He feared God and His commandments. He taught his kids that lying and stealing were wrong. He taught them to stay away from conflicts. Laziness was not tolerated in the Nunez home. He taught them to work hard and never say "I can't do this", but to keep trying until they could. He believed in being faithful to his wife. The night before our wedding, at the rehearsal dinner, he stood up to give a speech. We were all surprised because he was a man of few words. He said something along the lines of "Well Luis knows the example of fidelity I've set for him. I expect him to remain faithful to Kara for the rest of his life." He was a frugal man, and believed in always having an emergency fund. He frowned upon buying things that were unnecessary to him, like furniture. Because it was better to have a stash of money saved for a rainy day. He was a smart business man, and believed in keeping his word to those he made deals with. If a better deal came along, he would say, "I'm so sorry - I wish I would've talked to you earlier. But I've already sealed a deal with so and so." He loved his family deeply and showed them his love best by providing for them. It was hard for him to say "I love you" until more recently. We really saw him soften so much after the grandkids came along. He was not very good with showing physical love but became more and more affectionate through the years. Every hug received from him was cherished. I am so proud of the man he was and for all the wonderful values he instilled in Luis and the rest of his kids. I am so thankful that God's grace allowed him to use the hard things in his life to shape his family in such a good way. We are so grateful. As Luis pointed out when he was first diagnosed with cancer, "God is so merciful. He could've allowed him to die of a heart attack, or a sudden car accident. But He allowed him to have cancer so that he would have time to turn to Him." We knew God had been slowly softening his heart - we saw many small changes in him throughout the years. So we were greatly overjoyed when he finally surrendered his heart to the Lord a few months ago. He asked to be baptized just hours before he passed. 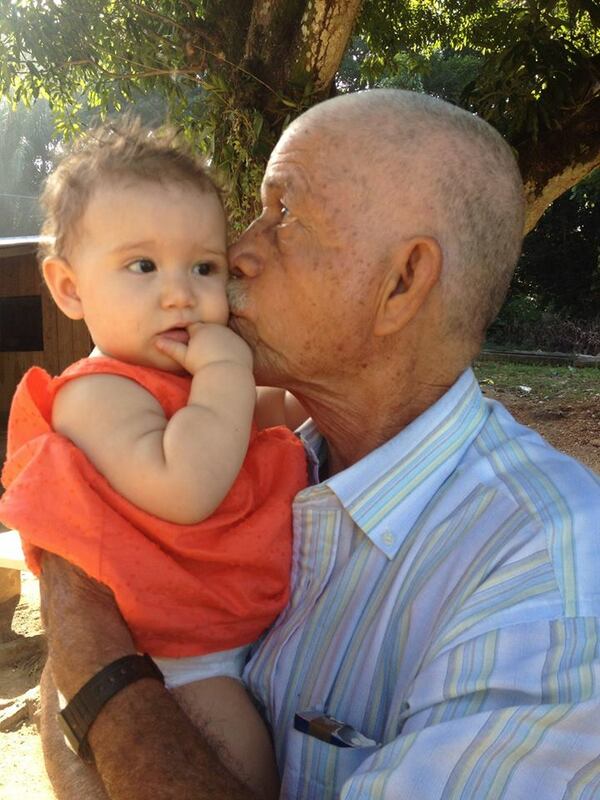 I am sad my kids will not grow up with their Abuelo. And I am sad that we won't see him again on this earth. But I am rejoicing that this good-bye is not for forever. Thank you for sharing these beautiful words... my eyes were filling with tears reading what you and Luis wrote. God is so gracious and faithful. My heart hurts for you guys and just the suddenness and wrongness of death...but seeing how much you guys can rejoice over his life is beautiful. I love you so much! My God, what a powerful testimony! It's amazing how the Lord shows us His mercy and will get Glory out of the most painful circumstances. His life is proof that there is no stony heart God cannot penetrate with His unconditional love. He specializes in giving the heart a new spirit and turning it to flesh! He may have had a hard life and made life hard for others, but what a triumphant ending! Hallelujah!